This 60-foot tall granite monument stands on the grounds of the Wood National Cemetery. The monument was erected in 1903, when the land was part of the Northwest Branch Asylum for Disabled Volunteer Soldiers. 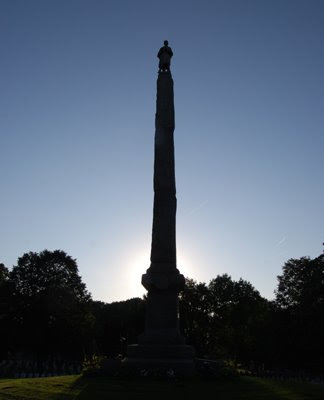 Sponsored by the Soldiers and Sailors Association, it was sculpted by Joseph Shaver Granite and Marble Company.